Lavandula stoechas ‘Hazel’ uspp#20894 Pride of Place Plants Inc.
Originates from Invercargill New Zealand. ' Hazel ' is named after Hazel Tildsey of Eugowra, New South Wales.A lady with a passion for flowers and flower arranging. 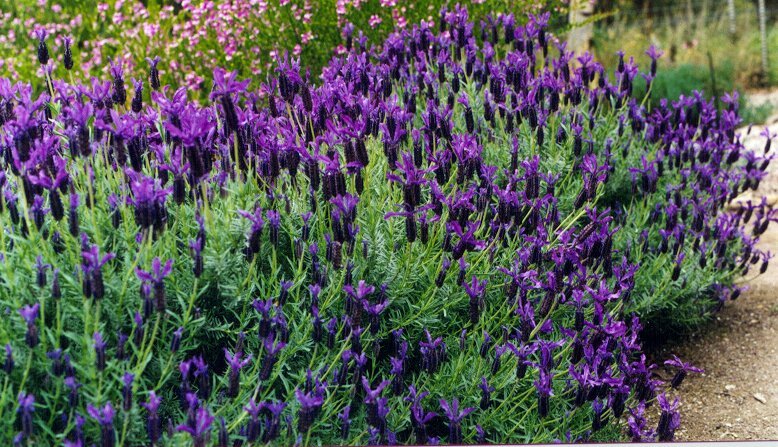 Lavandula stoechas ‘Hazel’ is a Spectrum Dark Violet color like no other. 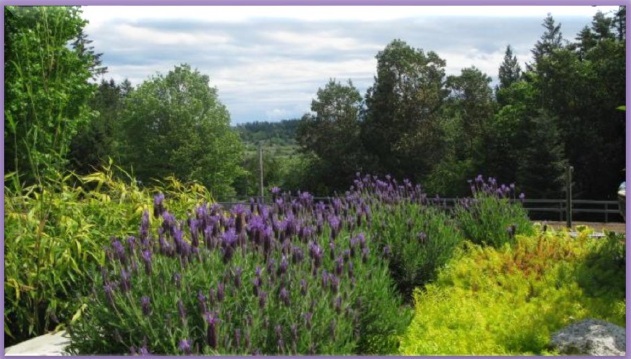 Highlighted further by an abundance of large flowers, 6cm (spike 4cm bracts 2cm) rising above the fresh dark sage colored foliage. ‘Hazel’is a must have for a medium sized hedge, growing to a mature height of .75 metrex .5 metrewide (30”h x 24”w) while holding its shape and not falling over. Blooming is from Spring through mid Autumn with a short break in early summer. 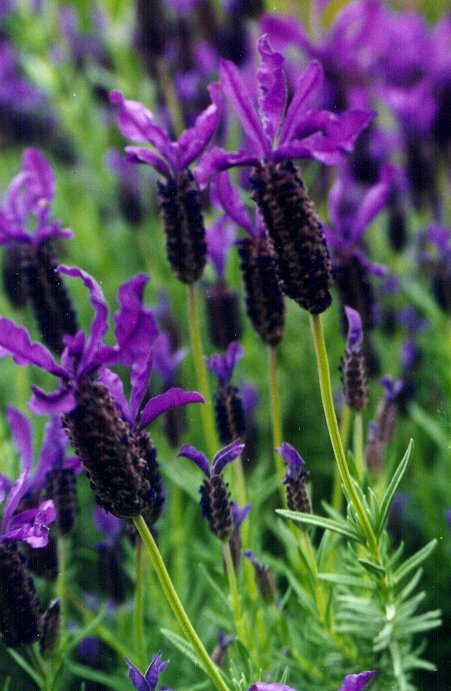 A seedling of Lavandula‘ Marshwood‘ crossed with an unknown parent, similar appearance when young but flowers are much more vibrant in color and holds it’s shape much better. 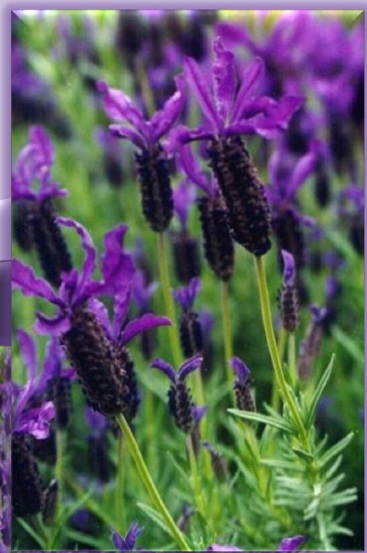 Introduced by LarkmanNurseries Pty Ltd Victoria, Australia.